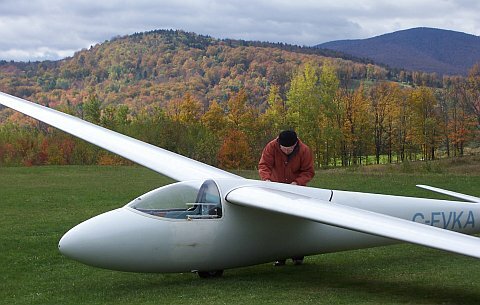 Sugarbush-Warren, Vermont Airport Sunday, Oct 14 through Saturday, Oct 20. 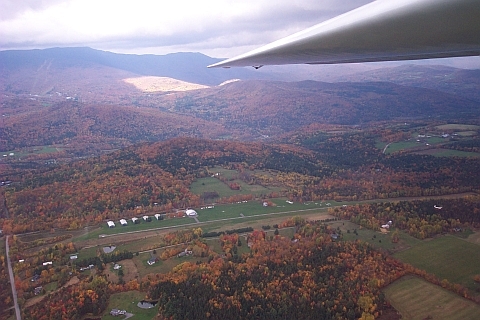 This is the fifth year I have flown at Sugarbush, Vermont and the second with the York Soaring expedition. I know that description of the same type of events become boring after awhile so I have given details on just one flight. 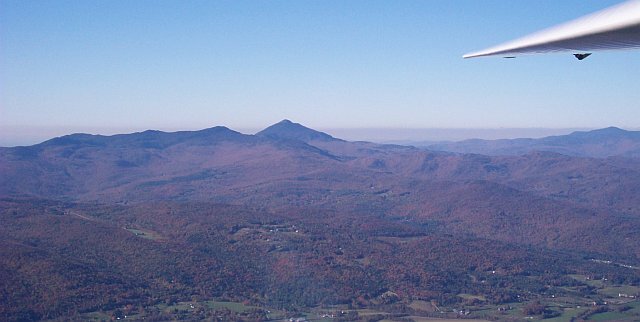 In 2007 the conditions were very similar to those described for 2006 (See Soaring in Vermont 2006). 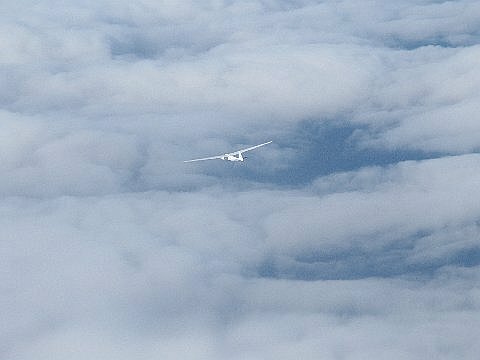 As in 2006 we had moist conditions and had to contend with overcast conditions in four of the five days of soaring. 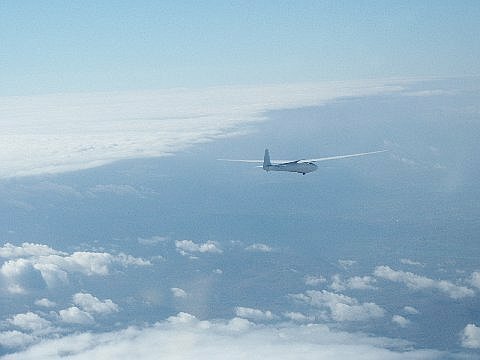 This year the cloud base was a lower and most ridge flying was below 4000 ft. We again had two days of wave which were cut short by closing cloud decks. Monday, Oct 15 - Stronger west winds than on Sunday for ridge soaring on the East Ridge including brief wave lift to 5200 ft. 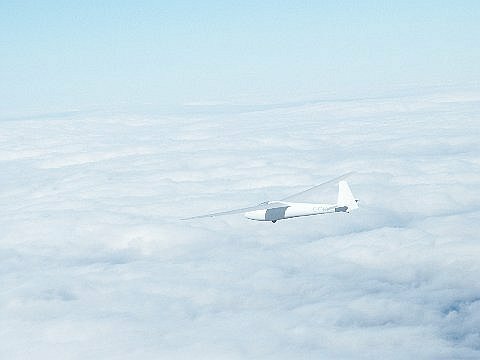 Some pilots managed to stay above cloud longer and reached 8,000 and 10,000 ft in wave. Tuesday, Oct 16 - This was a clear day with an inversion and small weak thermal lift. I had two short flights of less than an hour. Thursday, Oct 18 - There were scattered cumulus clouds mostly over the East Ridge. Cloud base was a little higher at 5000 ft. This was the only day, I flew near the west ridge but could not stay up there. The Wave Flight on Oct 20th. 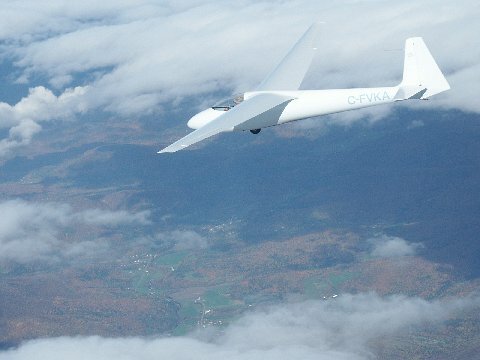 The longest and most enjoyable flight of the week occurred on the last day of our stay in Vermont. 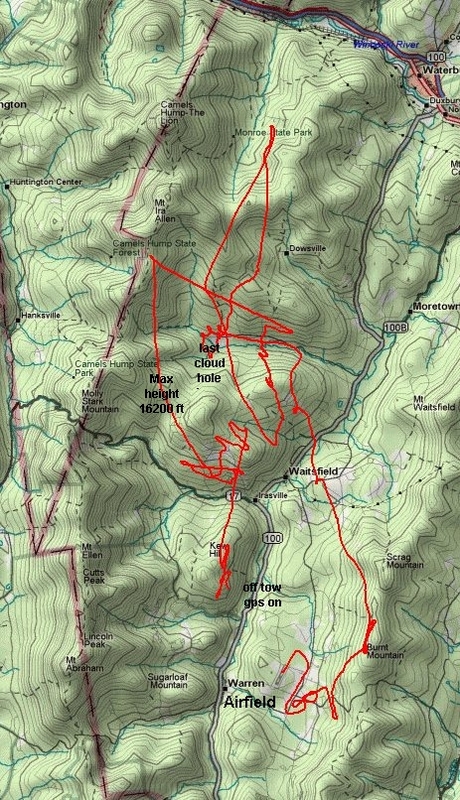 The winds were from the southwest about 15 kts and a 2700 ft tow took me to wave lift downwind of Mount Ellen. I climbed at over 6 knots and reached 16,000 ft easily. Peter Rawes and Reinhart Pildner had been the first aloft this day and they flew beside me for Reinhart to take the pictures below at 14,000 ft.
Sunday, Oct 21 - This may have been a fabulous wave day. 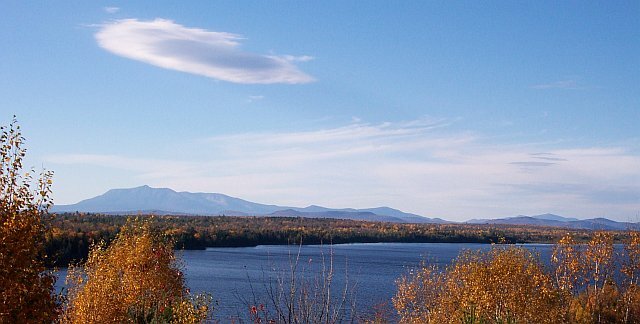 We left Vermont in the early morning and had a beautiful, clear, but windy day for travelling east to Fredericton, N.B. We had given thought to staying the extra day if just such a day should occur but I was exhausted from soaring five days and hiking up Mt Abrahams on Friday so could not think of flying that day. Late in the afternoon we saw these beautiful wave clouds downwind of Mt. Katadin in Maine.